Combustible material is kept away from the heat of the lamp! Allows maximum insulation to your ceiling space! Stop the heat loss 'chimney' effect through the light fitting! And stop dust entering the room from above! 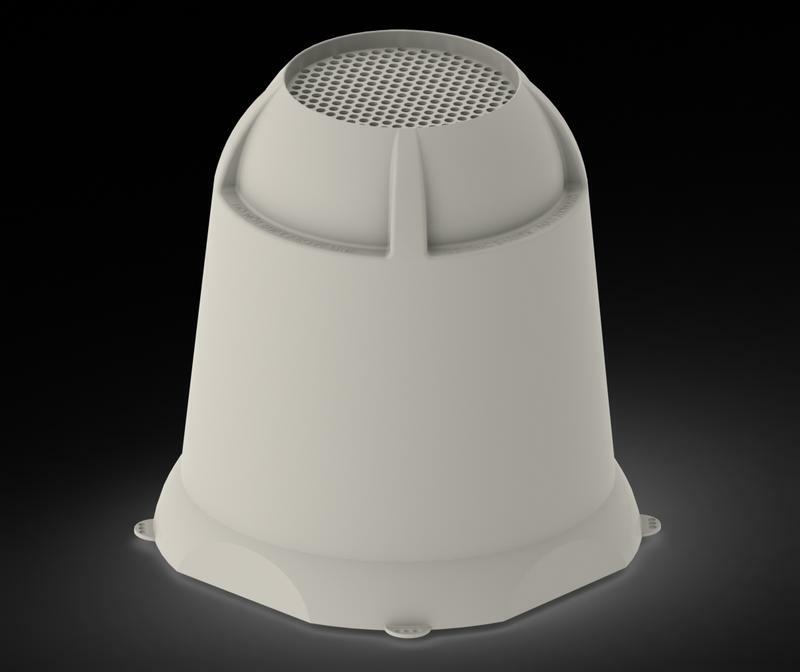 - auto adjusts to provide ventilation, keeping the luminaire cool. If installing insulation around downlights then using Cosydome is a simple, quick and safe way to create a warmer home - you don't have to install new light fittings. Want LED lights then just replace the existing bulb with a new LED bulb for a fraction of the price, cover with a Cosydome, and top-up the insulation for a warmer home that uses less electricity. This will save you money and make the home more enjoyable for your tenants. No need for an electrician as it can be done by any competent person. Stay warm - Spend less - Stay Safe! 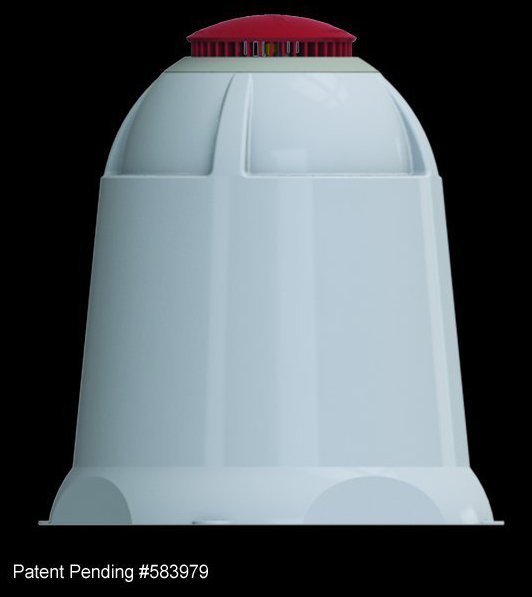 The Cosydome (Dynamic-RLB) keeps your heat in your room - no more heat lost to your roof space through the 'little chimneys' we all call downlights. Maximise your insulation value to reduce your home heating costs. The Patented Dynamic-RLB valve manages the heat created by your downlight ensuring the lamp, fitting, wiring and building elements are kept at their lowest possible temperatures. The Dynamic-RLB opens at temperatures above 40deg C, so your room stays warm, your light stays cool and you can feel safe in the knowledge that your ceiling is isolated from the heat generated from the lamp (up to 300deg C).